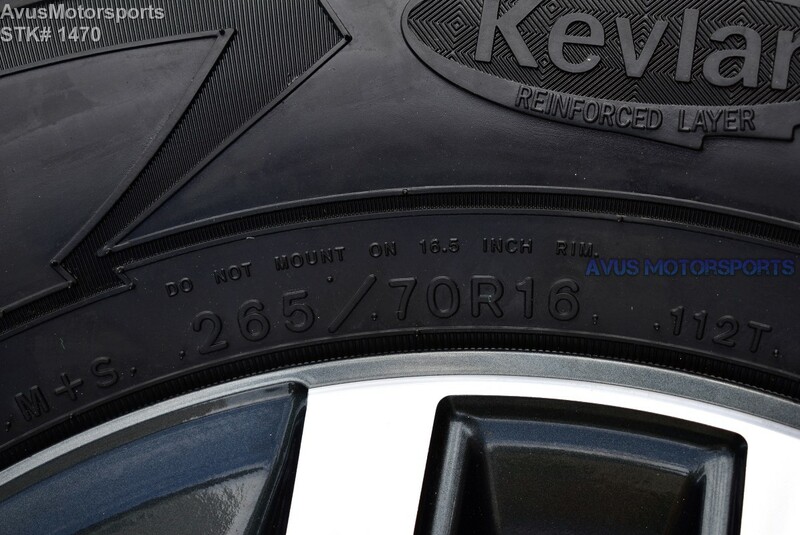 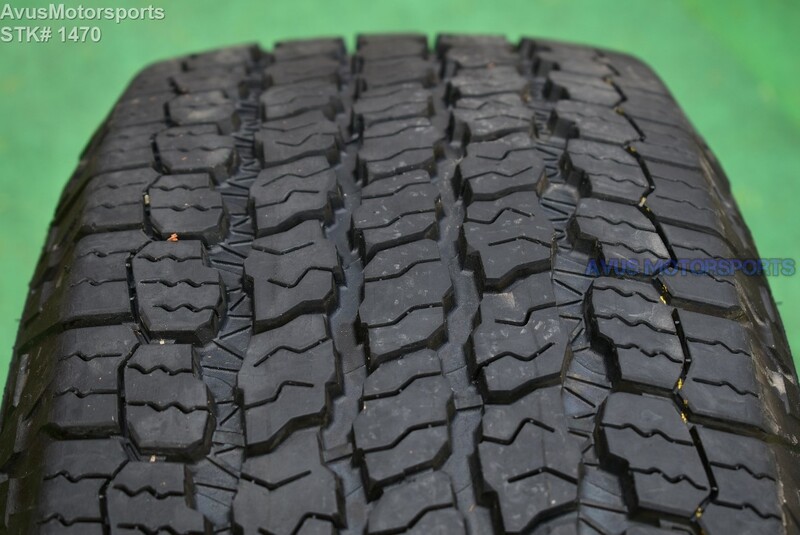 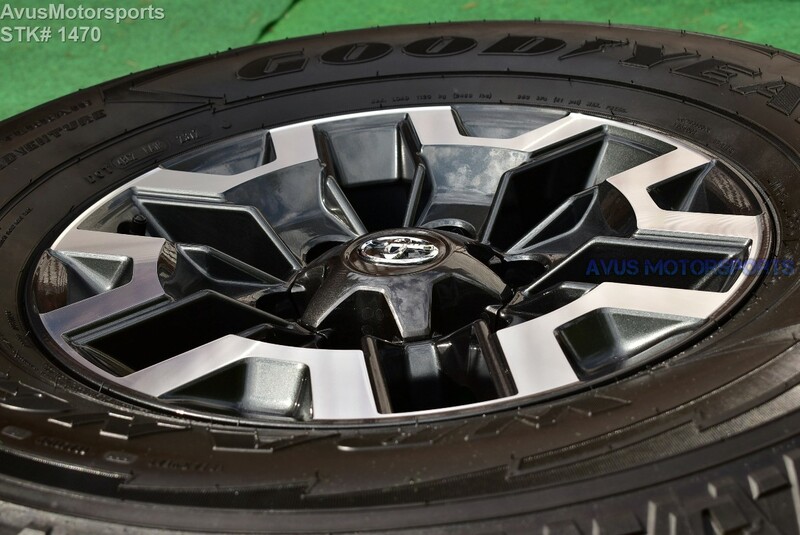 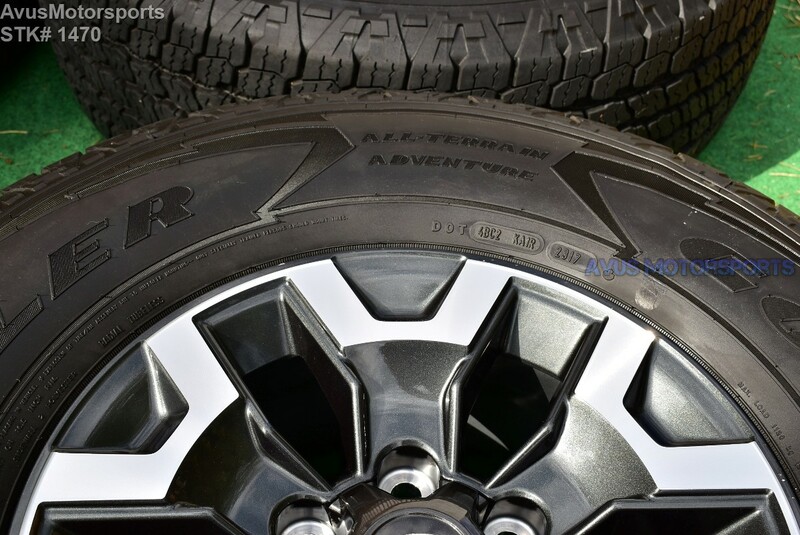 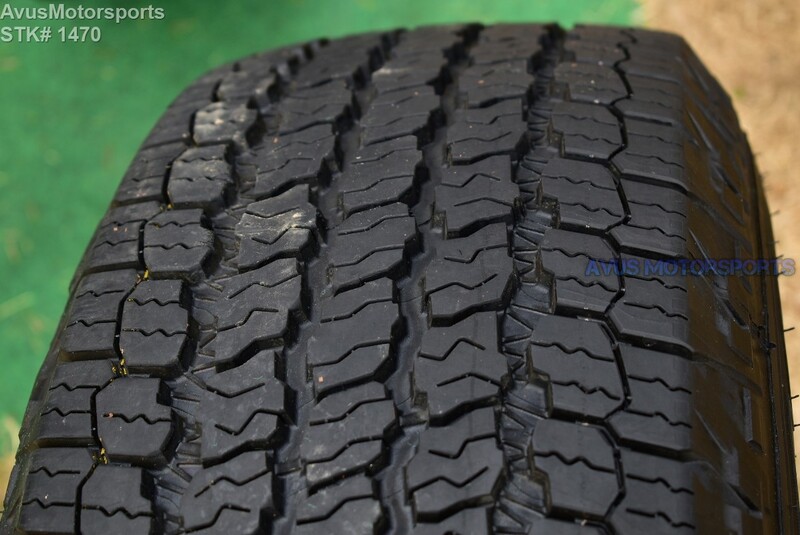 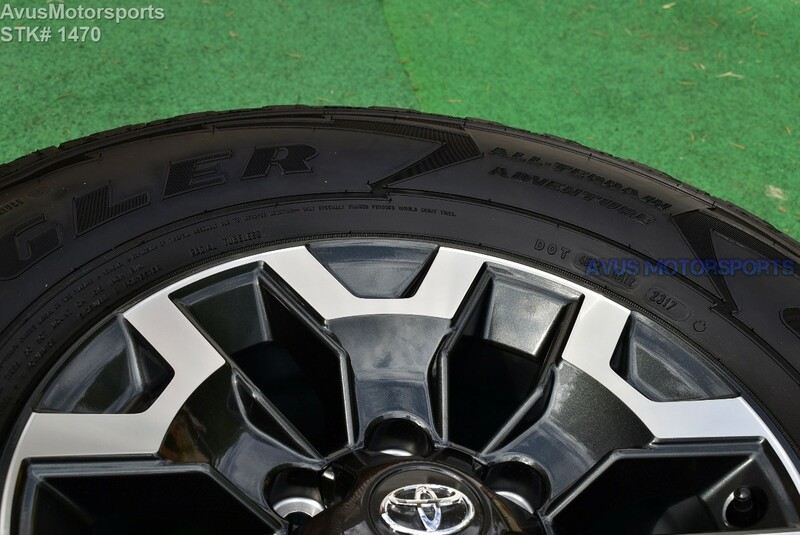 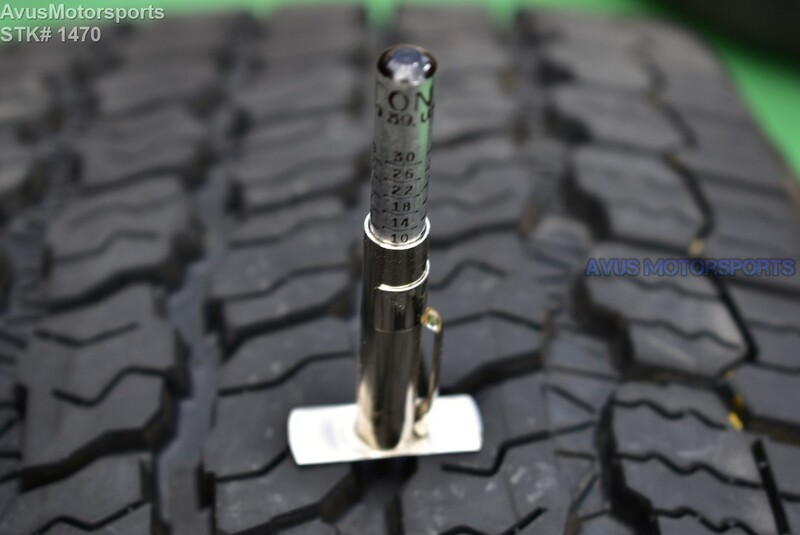 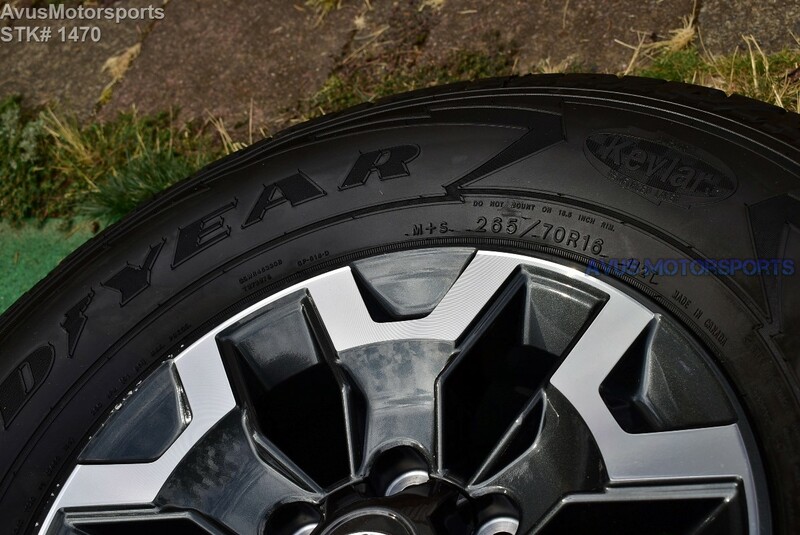 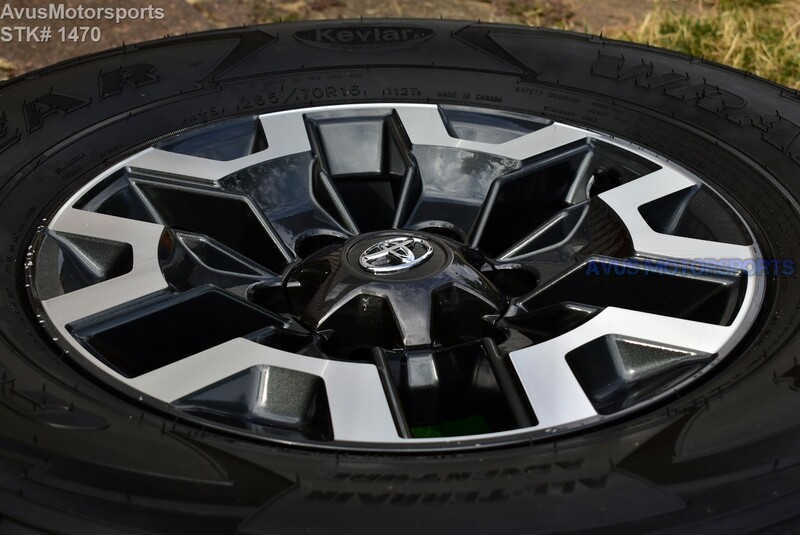 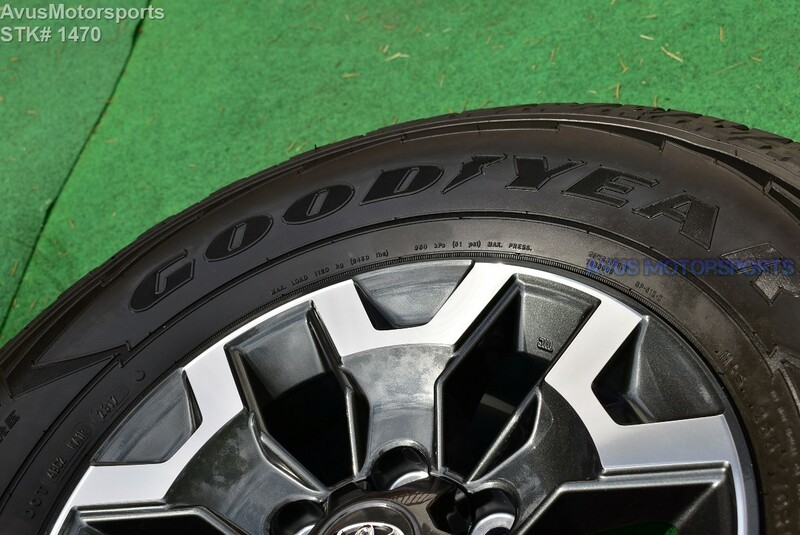 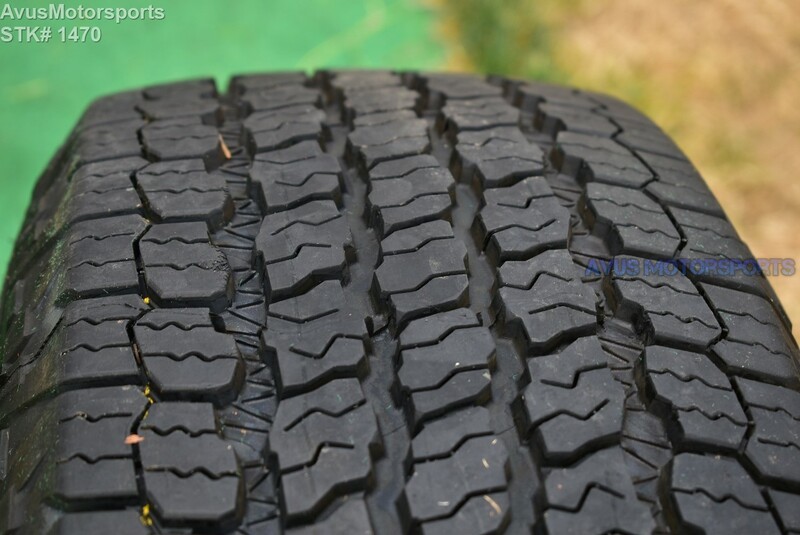 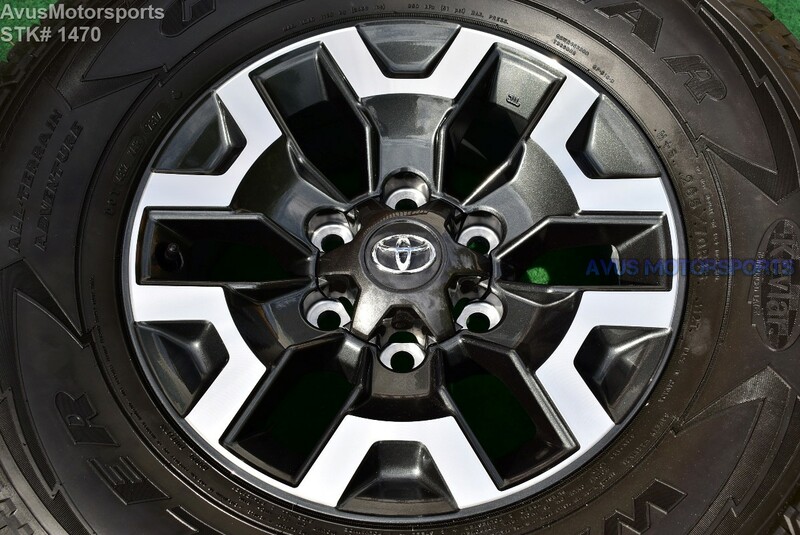 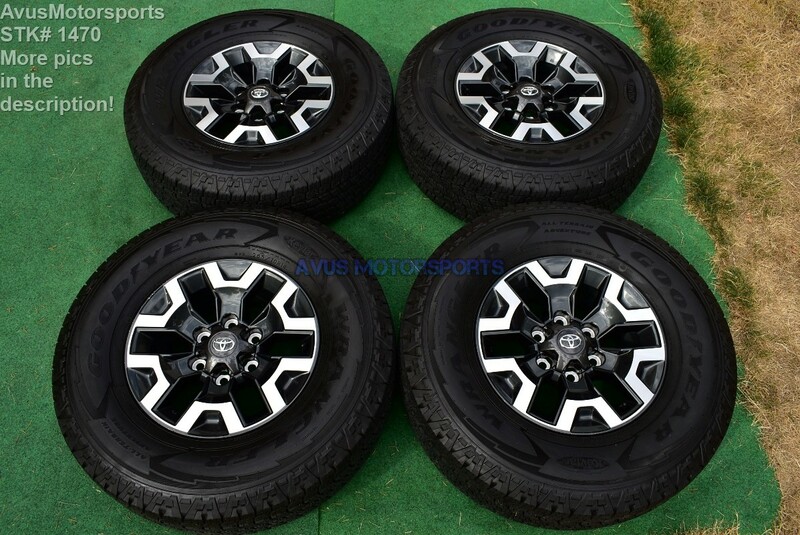 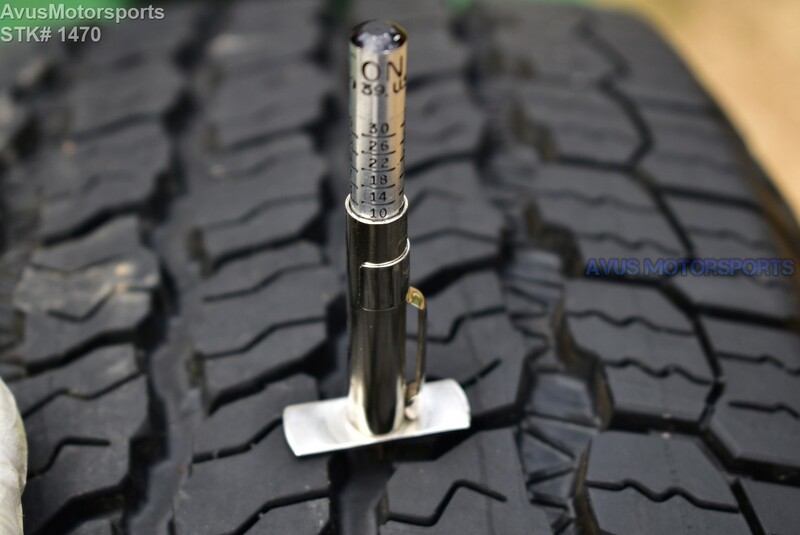 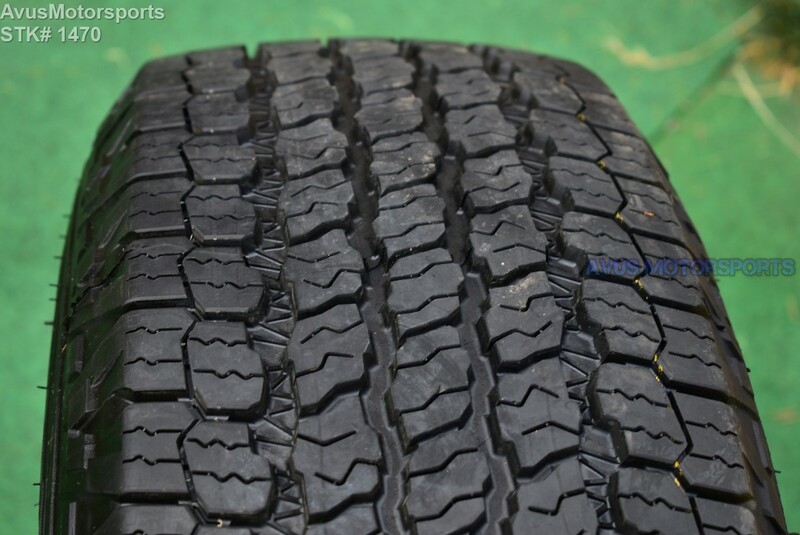 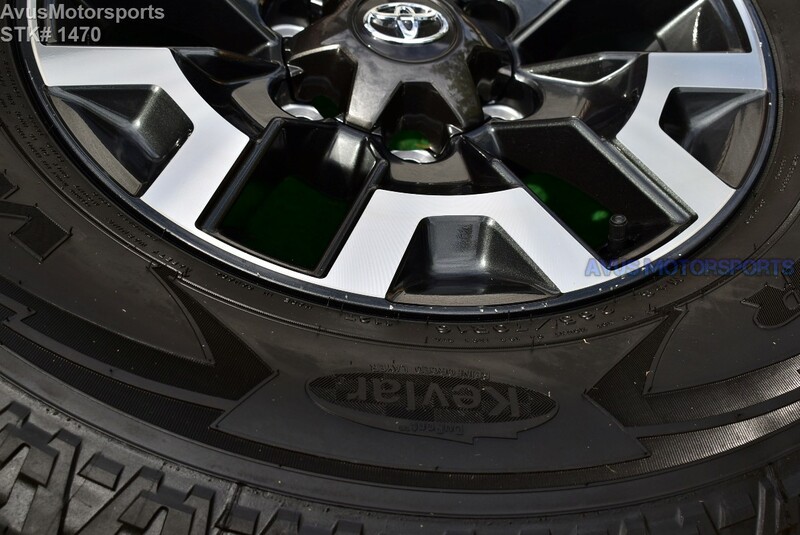 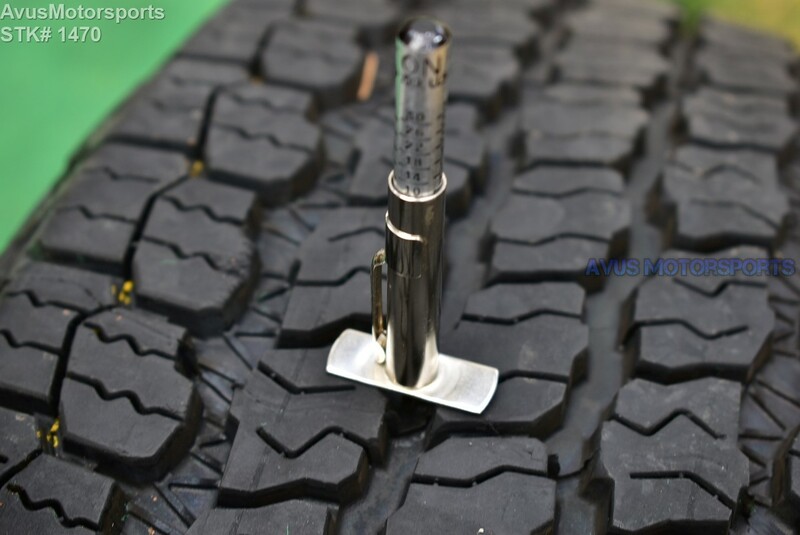 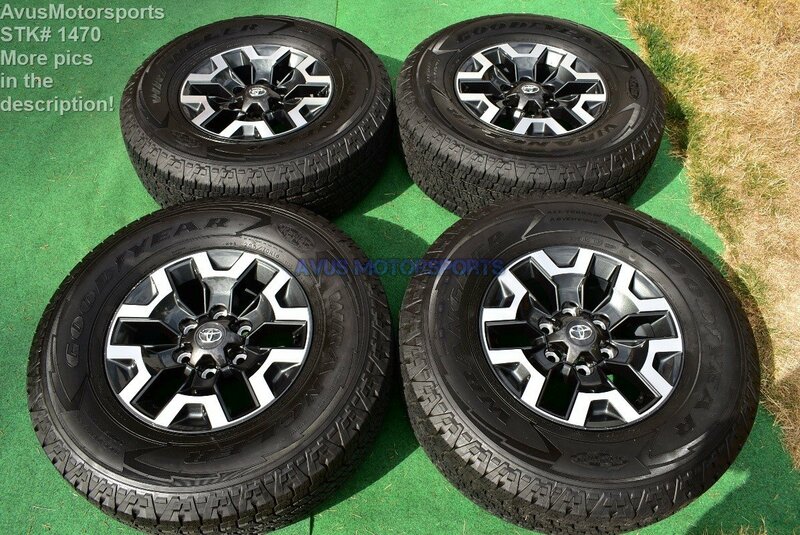 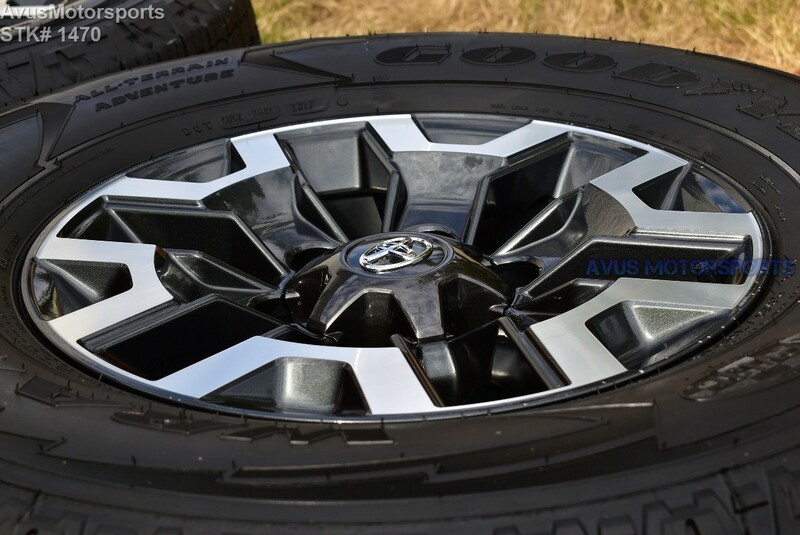 This auction is for a set of (4) 2017 Toyota Tacoma Offroad 16" OEM genuine factory wheels and GoodYear Wrangler All-Terrain Adventure with Kevlar 265/70r16 tires. 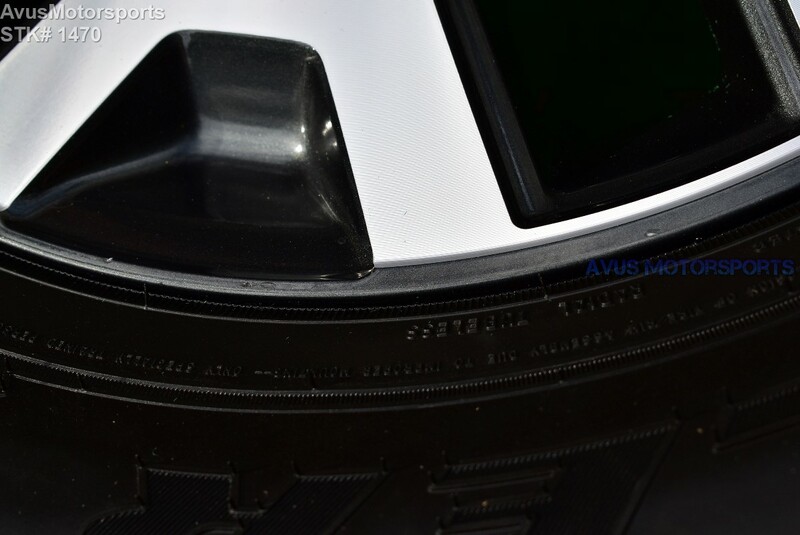 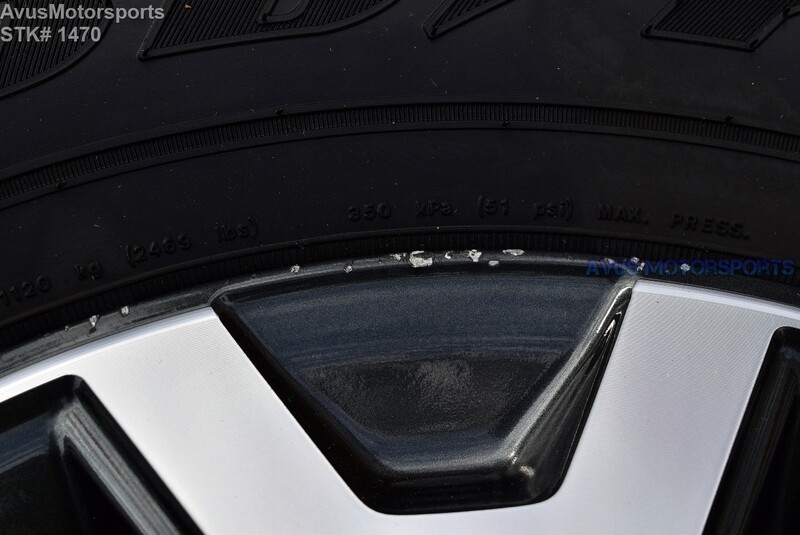 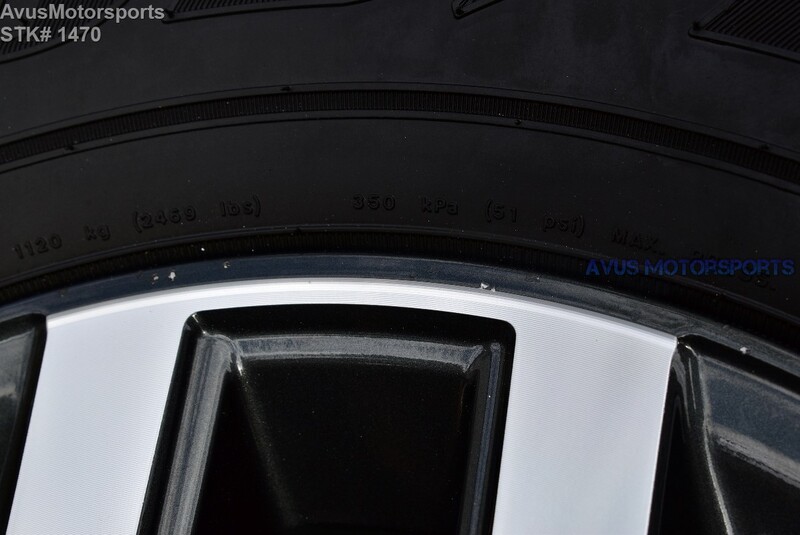 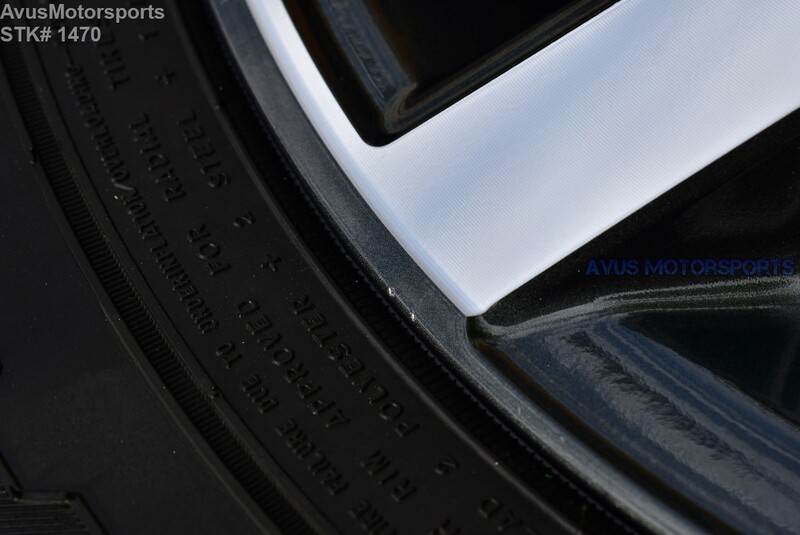 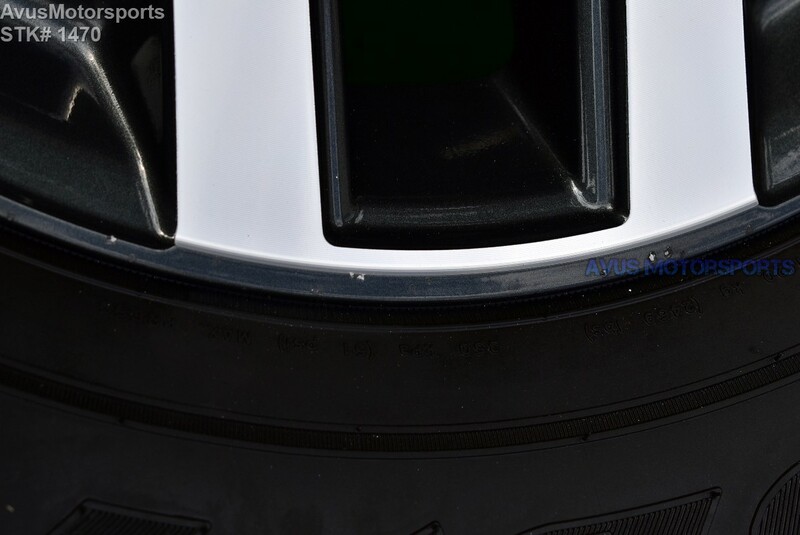 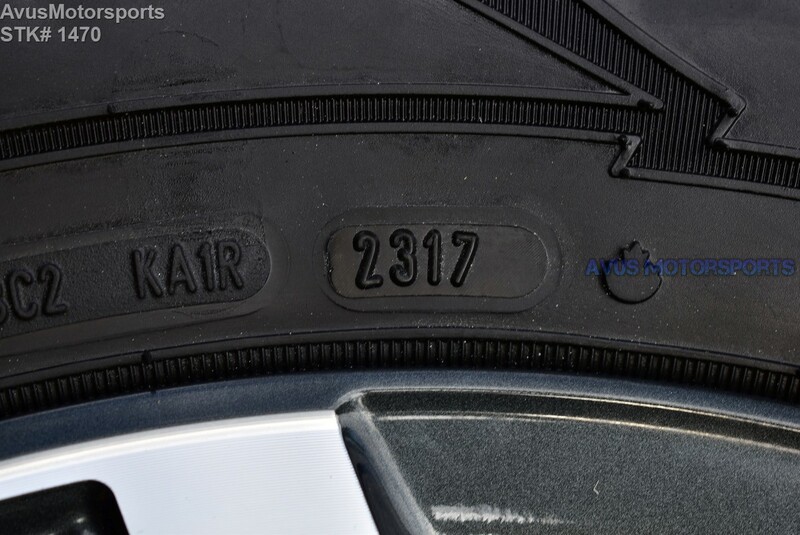 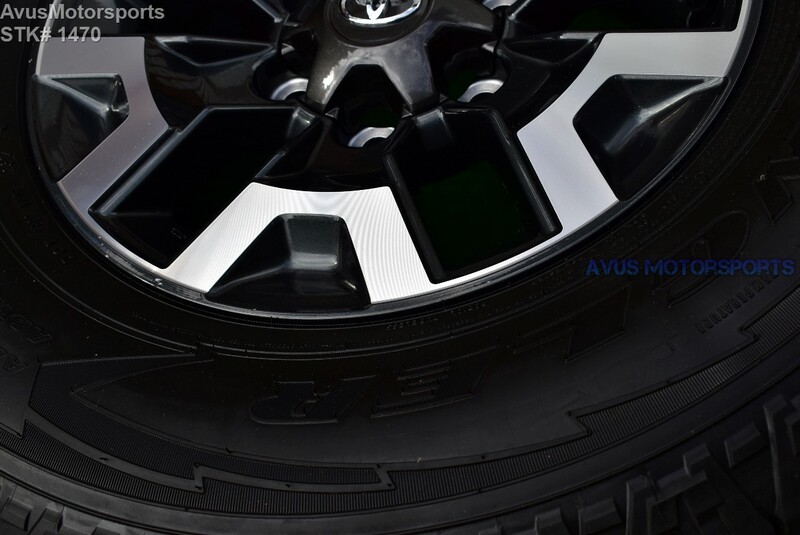 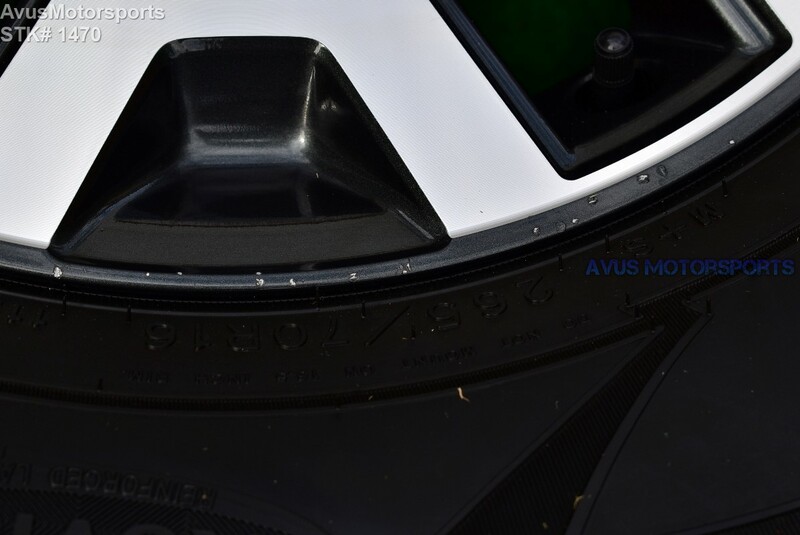 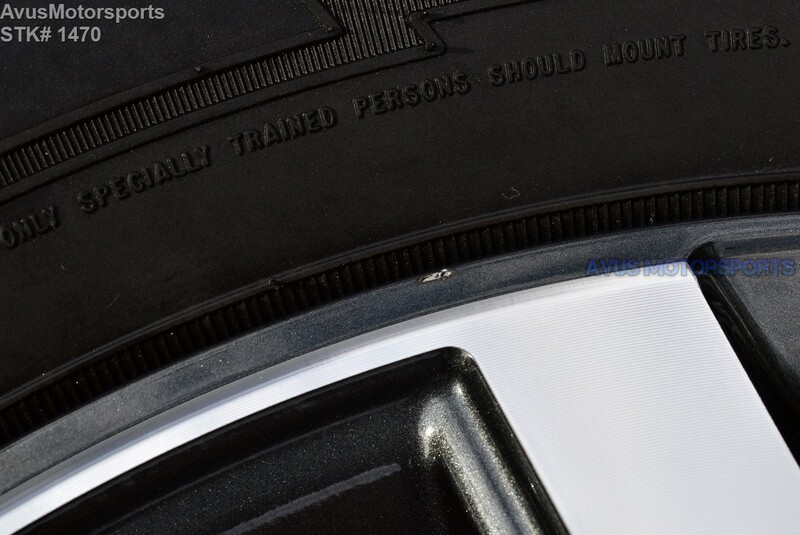 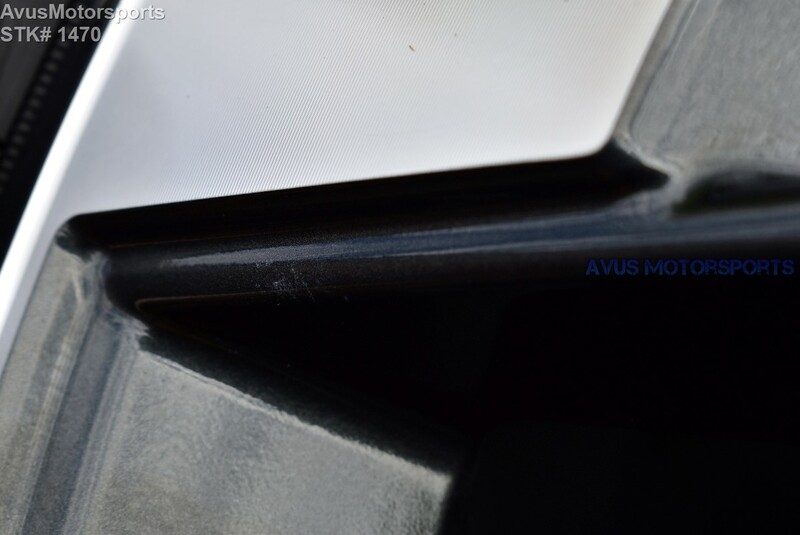 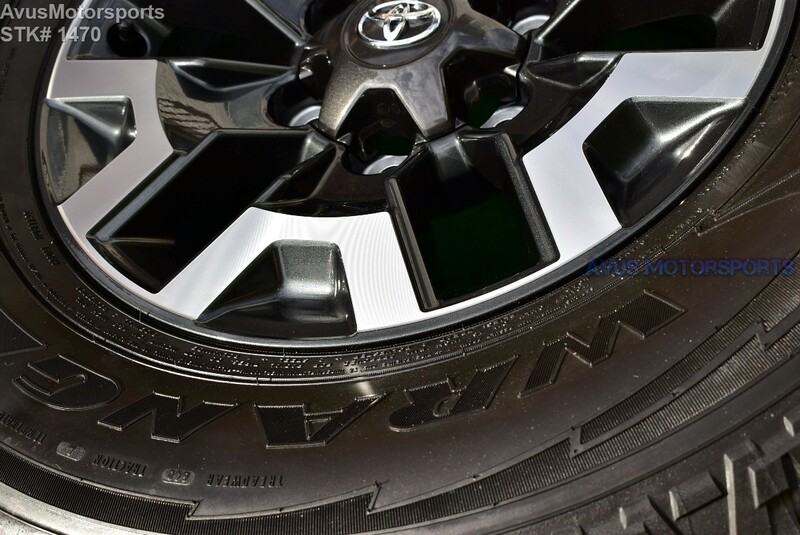 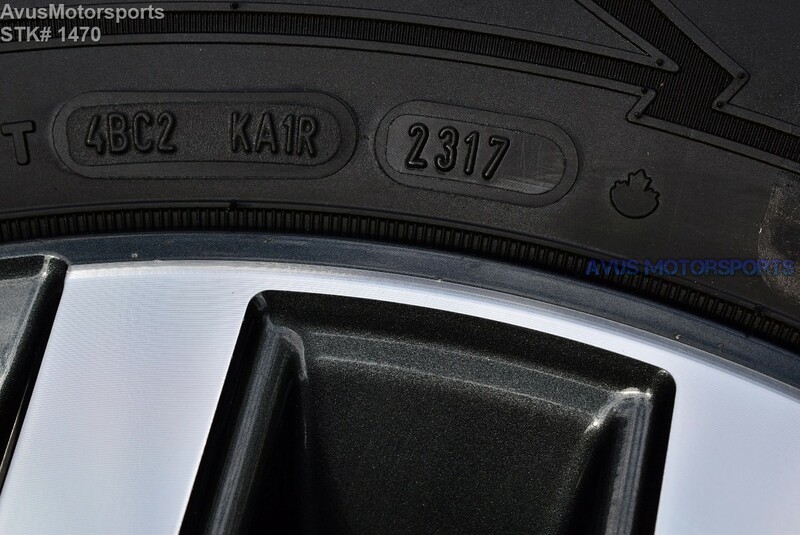 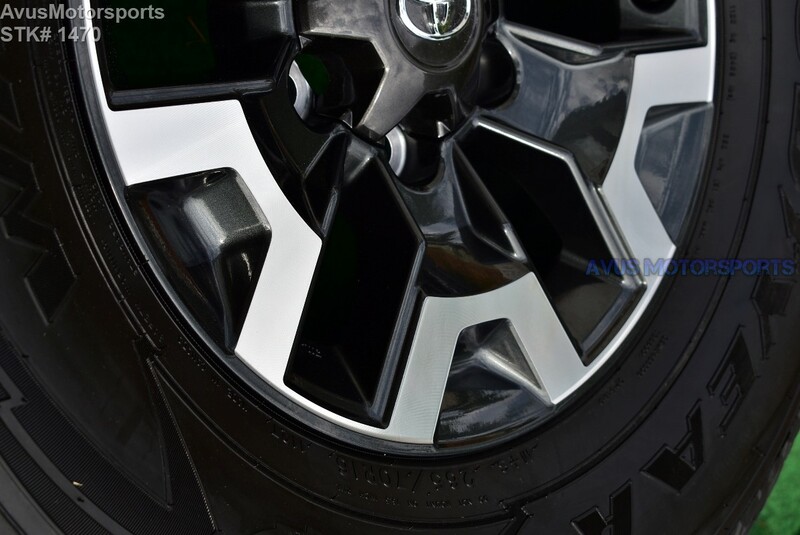 These rims and tires were taken off a 2017 Toyota Tacoma Offroad, Wheel #3-4 have some nicks/chip mostly around the edges (see pics), there might be some minor blemishes from handling or storage (see pics)! 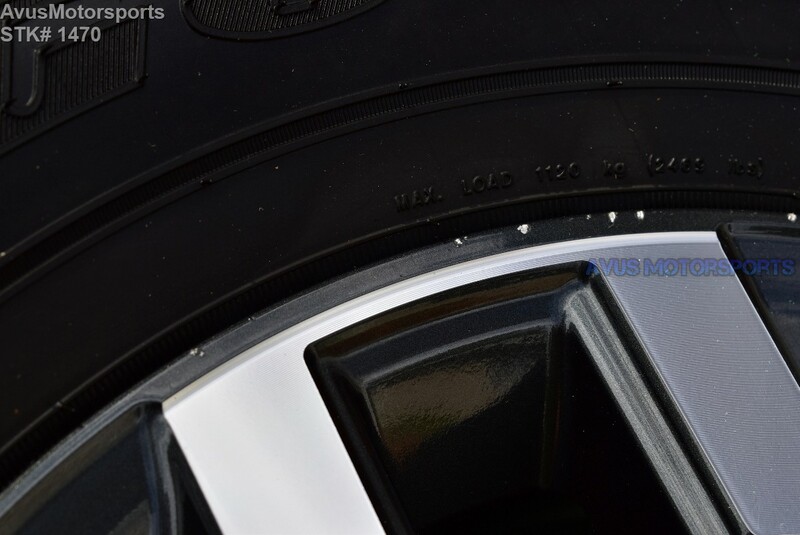 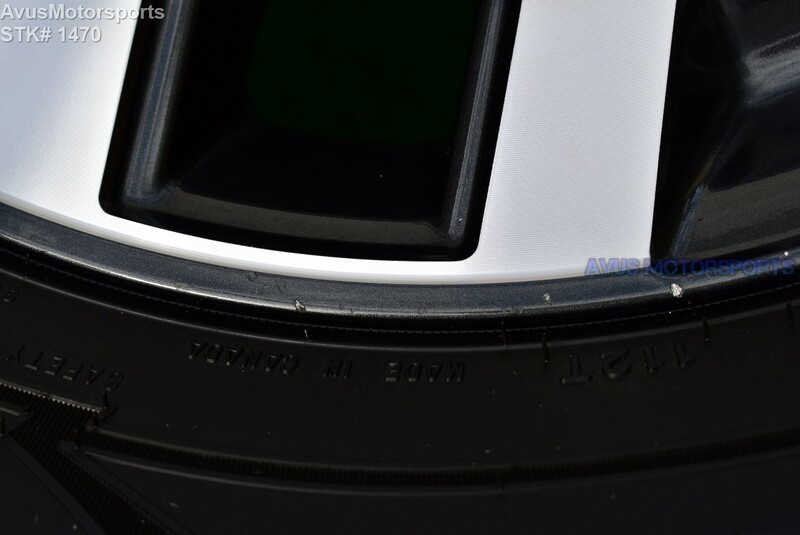 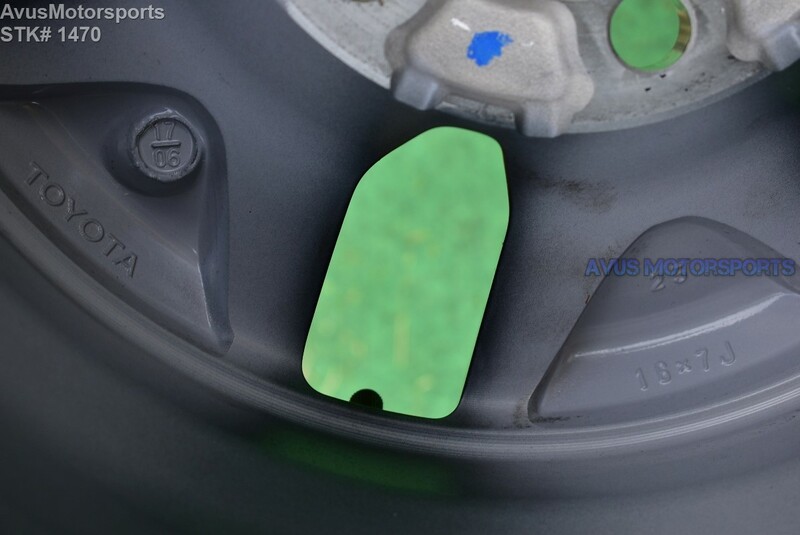 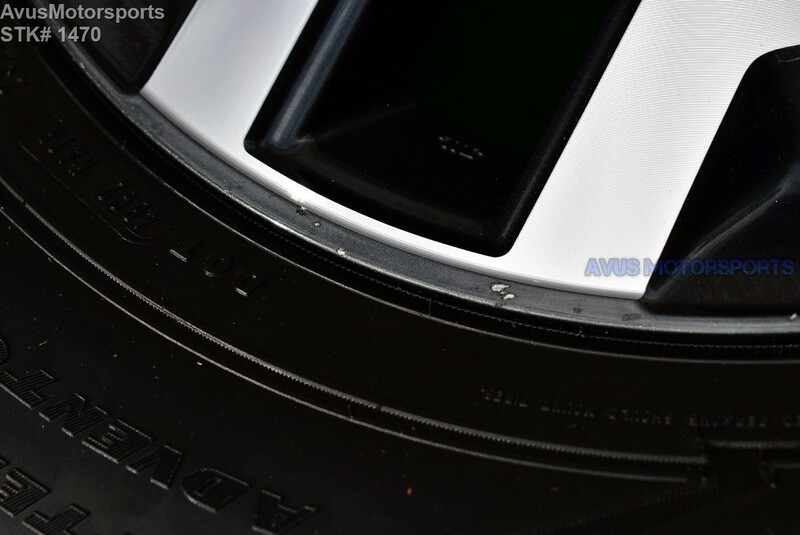 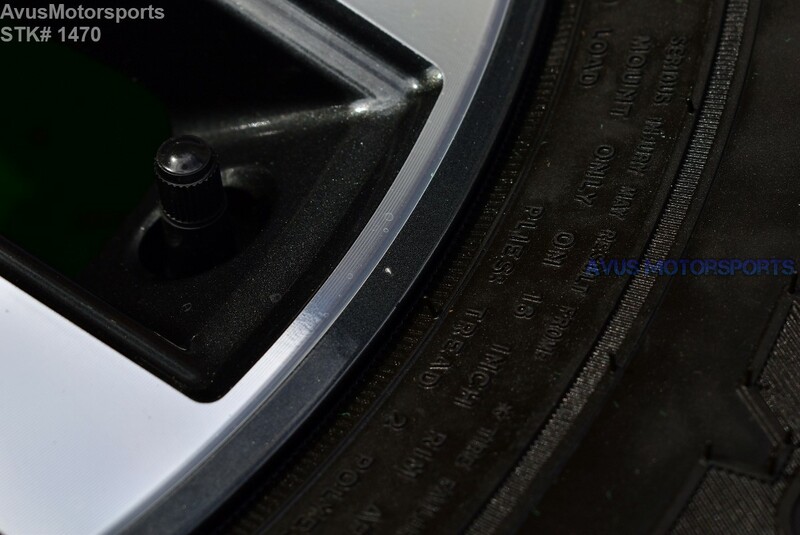 These wheels has NEVER been remanufactured, repaired or refinished. 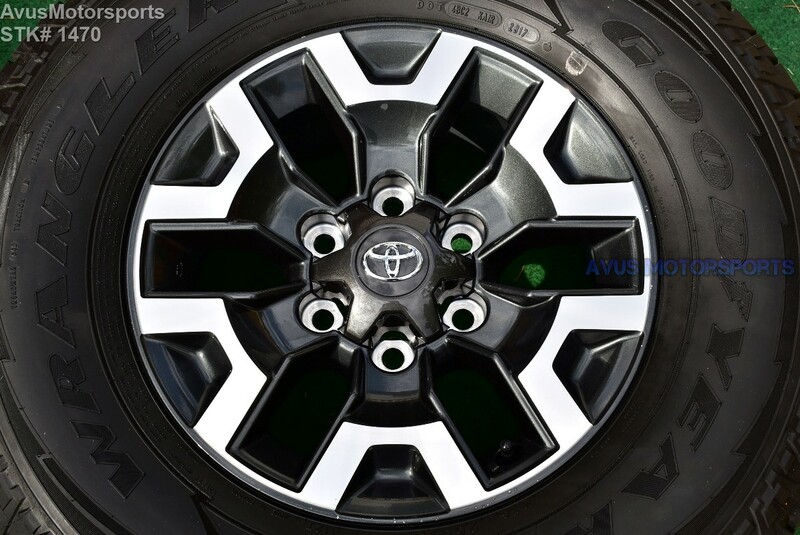 100% original! 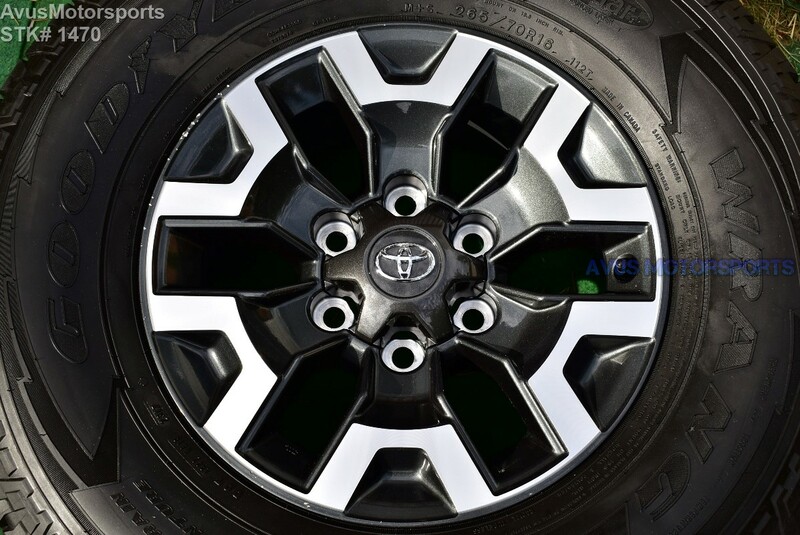 1995-2017 tacoma 4WD or prerunner models. 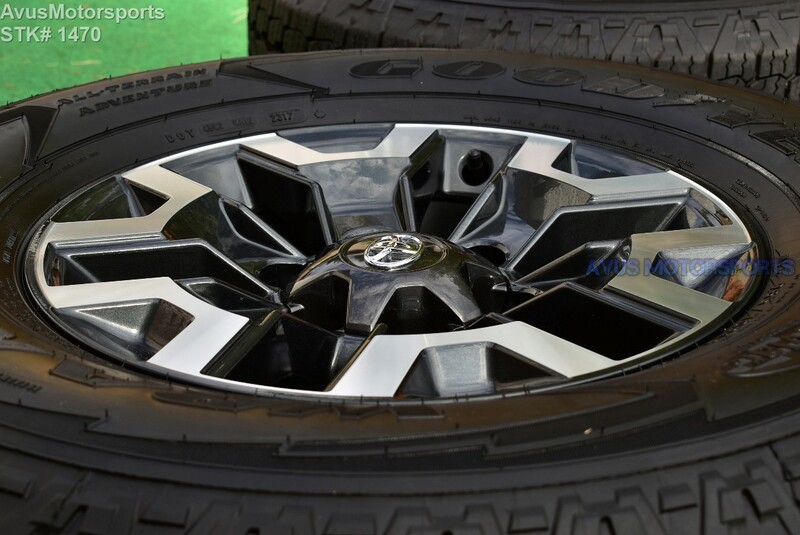 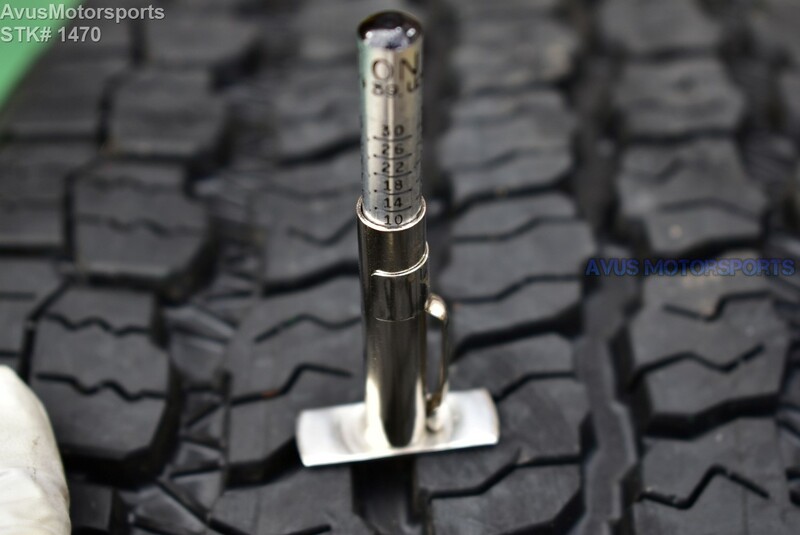 Will not fit 2wd without the prerunner package or if you have 5 lugs!